After the Valkyria Revolution experiment proved to be a disaster with series fans, being far too experimental and different from its predecessors, I'm not surprised that Valkyria Chronicles 4 veered so far back to the series genesis that there were times I could have easily confused myself into thinking I was just playing the original over again. In one sense, Valkyria Chronicles 4 is actually a little disappointing in that regard. 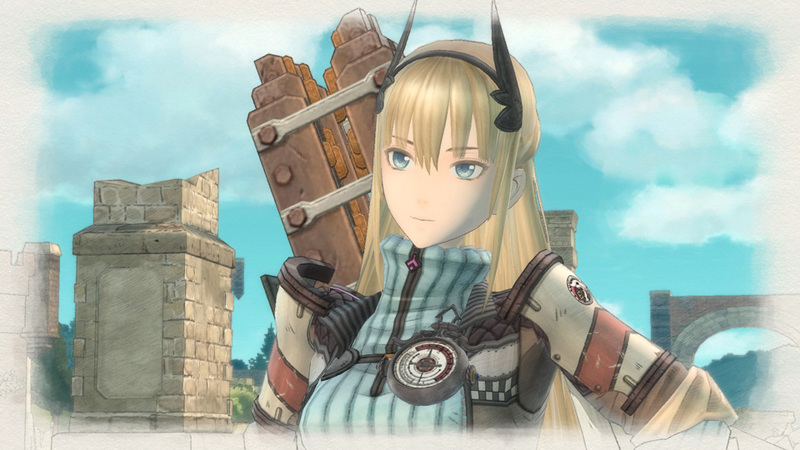 I don't mind that the gameplay and visual style have closely matched what the original Valkyria Chronicles pioneered. The hand-drawn aesthetic is nothing short of stunning, and the tactical gameplay is as robust and challenging as ever. What does disappoint me is how a series that has always done a great job in pushing forward the right kinds of discussions that we should be having about war in video games (yes, even Valkyria Revolution), would settle back into such safe territory this time around. In the original Valkyria Chronicles, you took on the role of a unit of soldiers in a nation that had just been invaded over rare resources. It would have been so easy for that game's narrative to simply justify everything that happened as appropriate, given that you're following the story of a resistance force, but nonetheless Valkyria Chronicles kept asking hard questions about the behaviour of soldiers in war... and the impact of war on otherwise normal people. Valkyria Chronicles 4 upends things slightly by positioning you as the invading force. The enemy's the same empire, but where you were fighting a desperate defensive action in Valkyria Chronicles, this new title kicks off with you in control of a unit for another nation, which has decided to try and end the war by going on a desperate offensive, targeting the empire's capital. Unfortunately, because both games are broken down into chapters, with the playable bits being just the battlefields each time, there's actually very little to distinguish the flow between those two campaigns. Yes, the narratives are divergent, but in practice both titles feel like a sequence of tactical battlefields that offer similar objectives, meaning that there's not enough of a difference distinguishing the defensive campaign from the aggressive one. 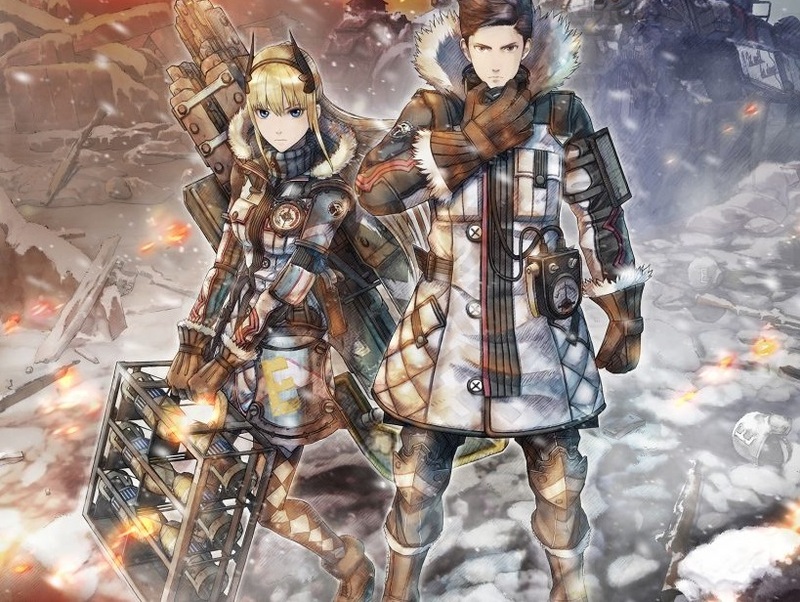 I was, however, more than happy with the way Valkyria Chronicles 4 acts as a companion volume, showing the world and war being fought over from a different perspective. It's like having two different books about two different campaigns in World War 1 or 2; individually they're interesting enough. Put together you start to build a more complete picture about the real scale of the war. Valkyria Chronicles 4 is structured in such a way that it plays perfectly well by itself, but by the same token I'm fairly sure the developers at SEGA went in assuming that just about everyone that was going to play this was already familiar with the original, and this was an opportunity to flesh out the broader world some more. So once again we have a story about a group of characters tackling a more powerful empire for a war that is over a rare resource, set against the backdrop of a world that is a very close approximation of the political environment in Europe leading up to World War 2. In fairness to SEGA, this game's squad of heroes are an enjoyable, eclectic bunch. They banter well with one another to brighten up the overall dark setting, but when the chips are down, there's plenty of heroism that comes from even the most casual among them. You're not going to love every character in this large, ensemble cast; Raz carries himself with all the grace and substance of a washed-up pick-up artist, but the beauty of having a large ensemble cast is that characters like Raz are offset by characters like Riley; an artillery specialist with a wicked slap in her. 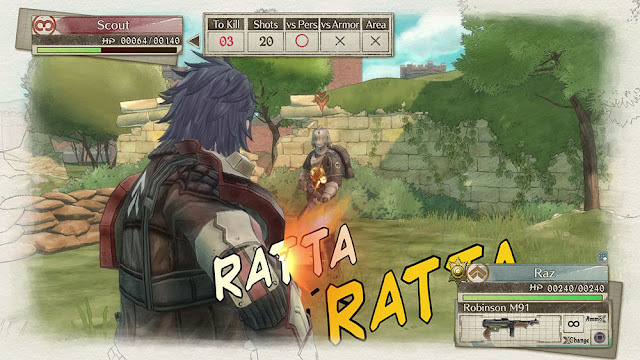 Unfortunately, here too things veer a little too closely to Valkyria Chronicles. Yes, Riley is a wonderful character in her own right, and if the action wasn't so familiar that I was genuinely expecting Alicia from Valkyria Chronicles - one of my top 10 characters of all time - to show up to do her thing, I think I would have liked Riley even more. Too much familiarity has the effect of diluting the good work that is otherwise done, And Valkyria Chronicles 4, understandably trying to recapture a great piece of videogame magic, is too familiar to have the impact it probably deserves. Then again, if you're going to copy a formula, you could do worse than copy something like Valkyria Chronicles. Valkyria Chronicles 4 is the virtual equivalent of a page turner, with rich dialogue and a pace that builds steadily across its run time until it it peaks at just the right moment. 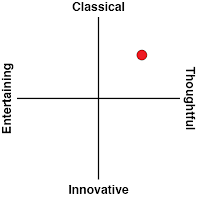 Centre to the success of the game, however, is its combat system, which is nuanced, detailed, and a near perfect tactics experience. For people who haven't played Valkyria Chronicles before, imagine a turn based tactics RPG; something like Fire Emblem or XCom. Now, remove the grid layout to that so your characters can freely roam around the level in accordance to their movement ratings, and then have a element of action gameplay in there too. During their turn, if a character runs in the line of fire of an opponent, the opponent can fire on them continuously, until the character either pops off a round themselves, or moves out of range. That action element does wonders to the basic turn-based structure. 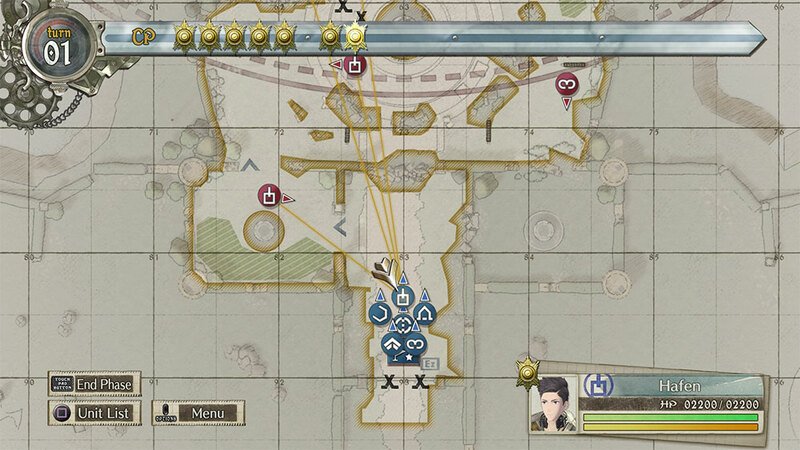 You need to be very careful about how you manoeuvre your troops in Valkyria Chronicles 4, and if you happen to do something really silly, like run your character right into a deadly crossfire, you're in for a really tense couple of turns ahead. If your character runs out of health, you've got three turns to get another character to their fallen comrade, else they perish on the battlefield, and are gone for good. Of course, actually getting to their position can be a incredibly difficult if there's half an enemy army pointing their guns at that spot. Still, you have more than enough tools at your disposal to deal with any threat that the (nicely varied) scenarios can throw at you. From quick and nimble scouts and hard-hitting frontline soldiers, through to support units and the deadly-but-slow mortar users, any given mission in Valkyria Chronicles 4 can be tackled in a dozen different ways, making for a truly tactical experience. Furthermore, if there's any one area where Valkyria Chronicles 4 does superseded its predecessor, its in making sure you know how to properly use units and move them around a map from the outset. I remember having a devil of a time trying to work out Valkyria Chronicles the first time I played it. I suspect new players will have a much more comfortable early ride in this one... though, as I said earlier, it does know how to challenge players who aren't tactical enough. It's quite impressive that SEGA has been able to take something so revered as Valkyria Chronicles, and do it justice with the fourth title in the series. 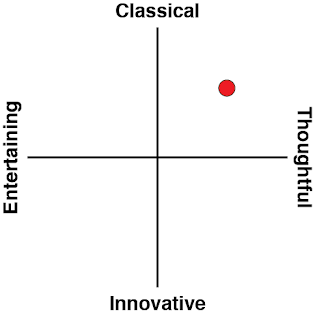 It's even more impressive that it was willing to admit that Revolution's experimental structure wasn't what fans wanted, and to go back to that original formula. It's hard to do justice to something so beloved, but given that the only flaw that Valkyria Chronicles 4 has is that it's not quite Valkyria Chronicles, that's exactly what has been achieved here.